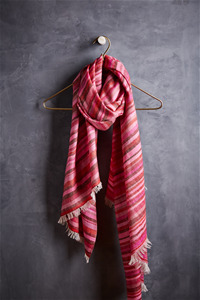 Made in Kashmir, India, from the finest Pashmina, using weaving techniques and arts from 15th century Persia, an Andraab shawl is like wearing something pure and magical. 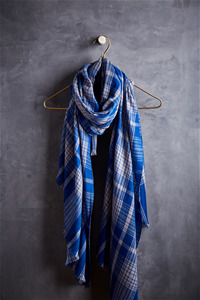 Andraab seeks to showcase authentic pieces of handwoven luxury and bring fresh ideas and design to the Kashmiri Pashmina. 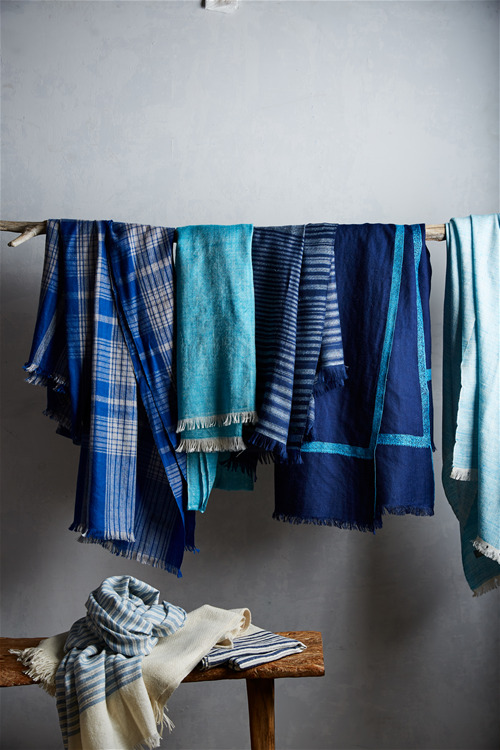 Multiple hues of blue in various contemporary designs. Colorful. 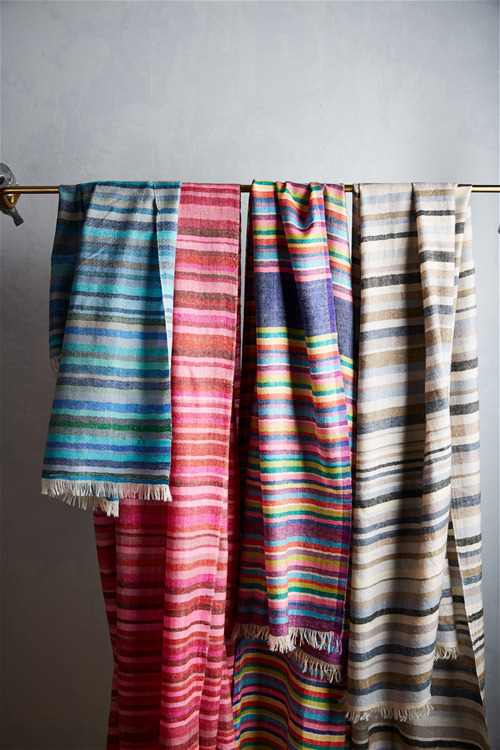 A unique blend of multi-color stripes creates a stunning visual, giving you a piece for your wardrobe that you always want to wear.